NBA – The Golden State Warriors host the Cleveland Cavaliers in Game 2 of their best of seven 2018 NBA Finals at Oracle Arena in Oakland, California. The Warriors edge the Cavaliers in Game 1, 124 – 114 that went into overtime after a wild and controversial ending in the 4th quarter. LeBron James drops 51 points in what could be his greatest performance in the NBA Finals in a losing effort. Prior to the game, the Warriors are looking to take a commanding 2 – 0 lead In the series before going to Cleveland, while the Cavaliers try to even the series to take the home court advantage before going home. In Game 2, The Warriors had a quick start in the 1st quarter, taking an early lead of 9 points 15 – 6 with 8:15 to go, Cavs able to get back in the game 26 -24 down by 2 points with 2:21 to go But still the Warriors won the quarter 32 – 28. In the 2nd quarter, The Warriors start to pull away in the game posting the first double digit lead of the game outscoring the Cavs in the quarter 27 – 18 to take a commanding 13 point deficit at the half 59 – 46. Stephen Curry leads the Warriors in scoring with 16 points, while Kevin Durant and Klay Thompson added 13 points and 10 points respectively. Meanwhile, Cavs superstar LeBron James scored 15 points and George Hill with 12 points the only two Cavaliers in double digit scoring at the half. In the 3rd quarter, Cavs forward Kevin Love exploded for 13 points to help his team slowly to get back in the game, Cavs able to cut the Warriors lead into just 5 points 82 – 77 with over 2 minutes to go, but the Warriors able to finish the quarter up again by 10 points 90 – 80 despite losing the quarter 31 – 34. In the 4th quarter, Warriors blow the game wide open behind Stephen Curry’s incredible hot shooting display in 3’s. LeBron James and the Cavs never find a way to get back in the game as they fall in Game 2 122 - 103 and now trailing the series down 0 -2. Game 3, is scheduled back at Cavaliers home court Quickens Loans Arena in Cleveland, Ohio, Cavs are looking to get their first win at home behind their fans and home crowd. 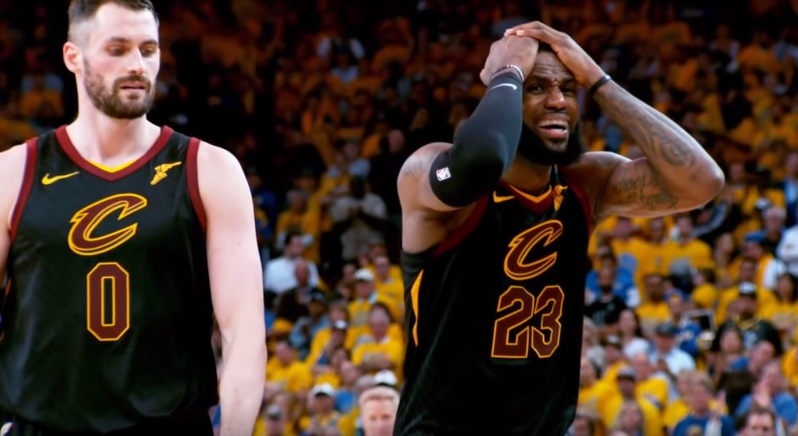 No Comment to " Cavs Down 0 – 2 in NBA Finals after losing Game 2 over the Warriors "